With the aim of reducing dependence on private vehicles and contributing to overall emissions reductions, Kochi is constructing the Kochi Metro Rail Corridor. 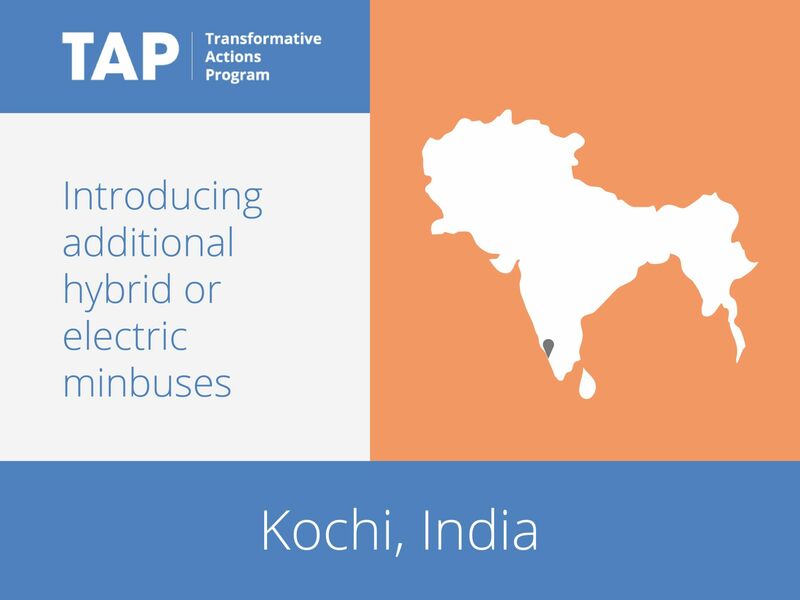 To increase integration and provide seamless public transport options, the city is also introducing electric and hybrid buses for first and last mile connectivity. The buses will complement the existing fleet of public and private buses in Greater Kochi. The plan includes the integration of infrastructure and fares to facilitate the transition from buses to the metro system. Together, the metro and buses will increase mobility, particularly for those outside of the current system.